As a designer, a guitarist, and as a constructor of guitars and ukuleles, I find myself continually seeking out the elusive moments that bridge the gap between what is imagined in my mind and what is realized with the art I create. Musicians can especially relate to this. It's the moment you create a sound that blurs the line between the reality of what was just played and the musical intention that is always in your mind. I think it's a component of what flamenco artists refer to as duende, a moment of heightened state of emotion, expression, and authenticity. It's both the reason I play music and make instruments. Whether you are new to the guitar or thinking about upgrading from a factory made instrument to a genuine handmade instrument, I hope you find inspiration to play often and seek your personal expression and authenticity in the music you play. I believe the guitar is the most poignant instrument for expressing the human experience. In that sense, playing a guitar is about revealing something about yourself. A well built guitar versus a mediocre guitar can be the difference between full and stunted emotional expression. In that sense, how a guitar is played will always rule over how a guitar is made, but for the aficionado of the guitar, there is an added layer of the joy in understanding how a guitar is made and what it's made from. Using a combination of old world Spanish traditional construction methods and modern approaches to build forms, I seek to create guitars that are reliable in sound quality and construction integrity. I build all my instruments from start to finish by myself, from original billets of wood to finished product. For the past 160 years, the construction process used by Antonio de Torres has been the foundation by which all other build styles and techniques have been judged. My guitars utilize a Torres seven fan bracing pattern on the soundboard, which proves to be the most reliable pattern for achieving desired sound quality for a classical guitar. The shape of the guitar is built upon a 1937 Hermann Hauser guitar. Although I believe the celebration of a handmade guitar is the experience it provides for the player and audience and not simply the technicalities of the build process itself, below are some interesting aspects to my process. Traditional Spanish guitar construction is a many faceted topic but there are several elements to the construction that tend to be associated with this type of build, which are outlined below. The Spanish Heel. Integrated neck-body construction is a hallmark of the traditional guitar build. 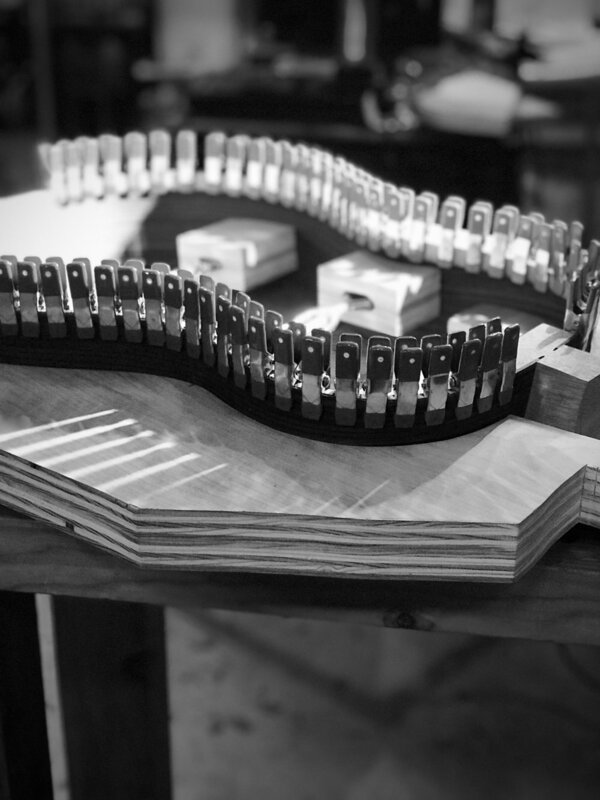 The construction of the neck is such that the neck headblock extends inside the soundbox which creates a structurally and sonically strong connection between the neck, sides, and top and bottom. The presence of a Spanish heel inside the guitar identifies neck built with the Spanish method and not by a method such as a dovetail or mortise and tenon, which connects the neck to an already assembled soundbox. Although more complex to build, the of having a neck built from one piece of wood has acoustic benefits that are difficult to match. 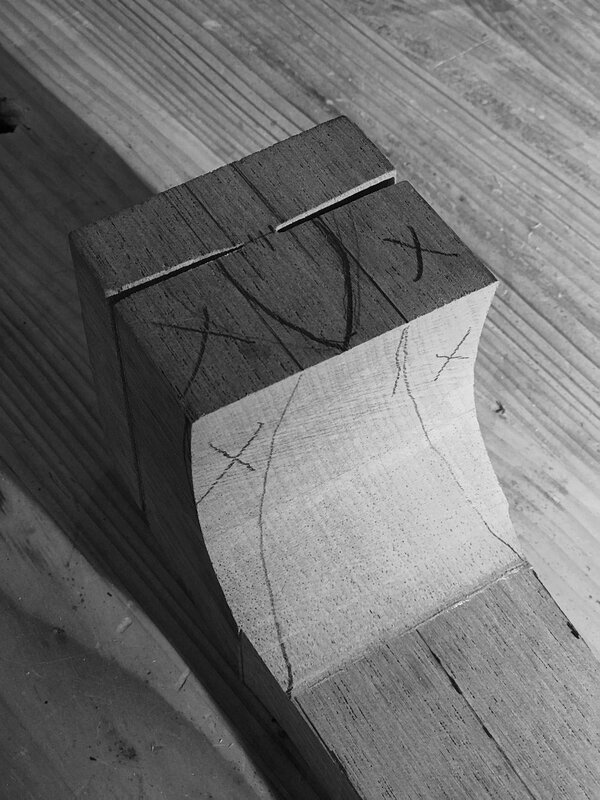 The Spanish heel neck joint is considered the most highly developed neck joint in guitar construction. It is significantly more complex than a glued neck, but the sonic benefits are worth the effort, as the vibrations from a plucked string can travel through the entire neck with less interruption. Fan Bracing. The traditional Spanish method soundboard bracing is the fan, with the seven brace as a common standard, along with accompanying tonal bars in the lower bout, though there are many slight iterations of this standard. The Radiused Soundboard. Although much less pronounced than other arched instruments such as an arch top "jazz" guitar, the Spanish method utilizes a radius in the area below the sound hole. 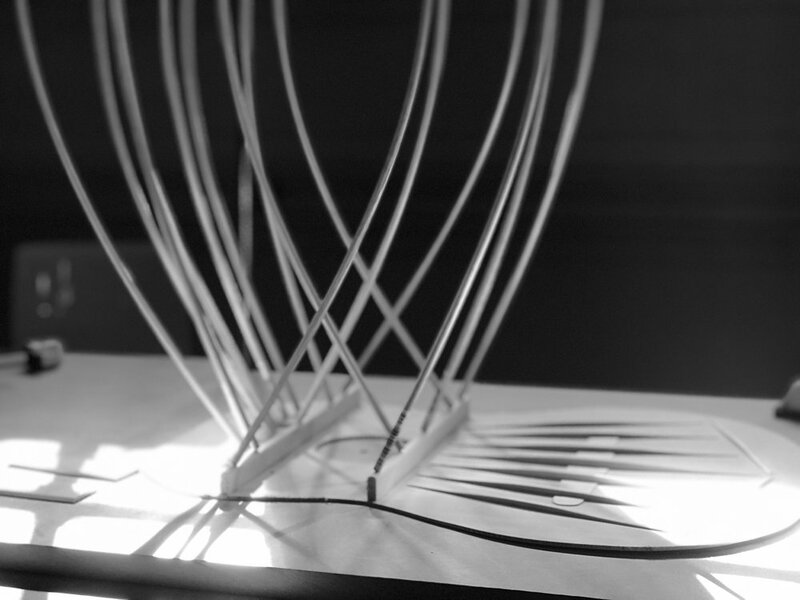 I apply a fifteen foot radius to both the lower top and the overall back of the guitar, which creates torsional strength and aides in sound projection. Building Forms. The Spanish tradition uses a plantilla template (one-half of the guitar face) to create the outline of the soundboard, and a dished out work board to create the on the top radius during the gluing of braces. 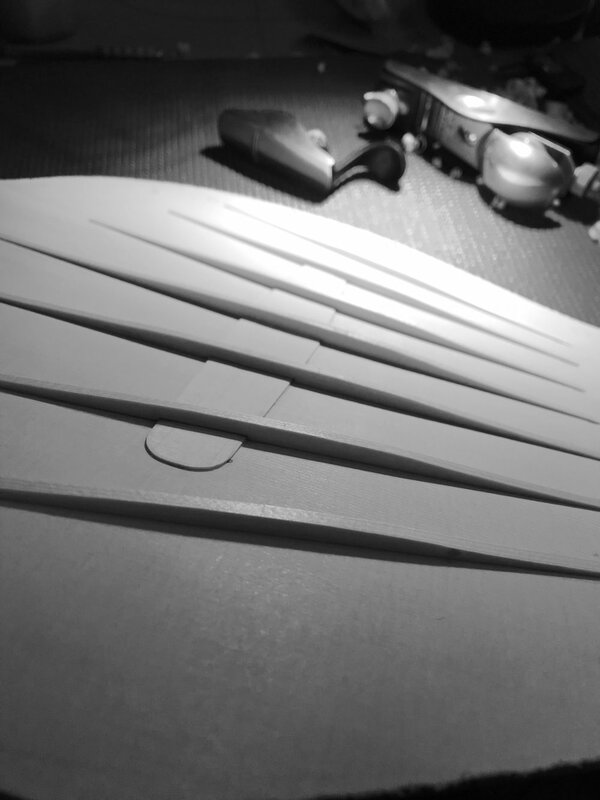 A more modern approach is to include the use of a CNC cut full template and an outside form to hold the sides in place during the stages of connecting the neck to the body and during the closing of the soundbox. While every hand built guitar will have some minor inconsistencies due to variations in wood and the use of hand tools, it is also true that this more intimate approach to guitar building allows the builder more opportunities to sense the qualities of the wood being used. French Polish. French polish is simply the best finish for a handmade instrument. French polish is applied thinly and does not hinder the acoustic qualities of wood and has been used on virtually every world class guitar for the past 160 years. While more delicate than the type of heavy varnishing that produces high gloss and sound affecting finishes, French polish is easily repairable, preserves the true tonal quality of the wood it protects, and has an effect that some might call old world and certainly beautiful. My French polish technique uses shellac flakes, pure grain alcohol, and very small amounts of olive oil. The oil is removed at the last stage and because the alcohol evaporates during application, what is left is a fantastic finish that enhances the beauty of the instrument.